With our Halloween decorations all made and hanging in our windows, we decided to get a head start on a few Thanksgiving projects! They are just so much fun to craft with that we really can’t resist! And this Thanksgiving turkey craft for kids was no different. 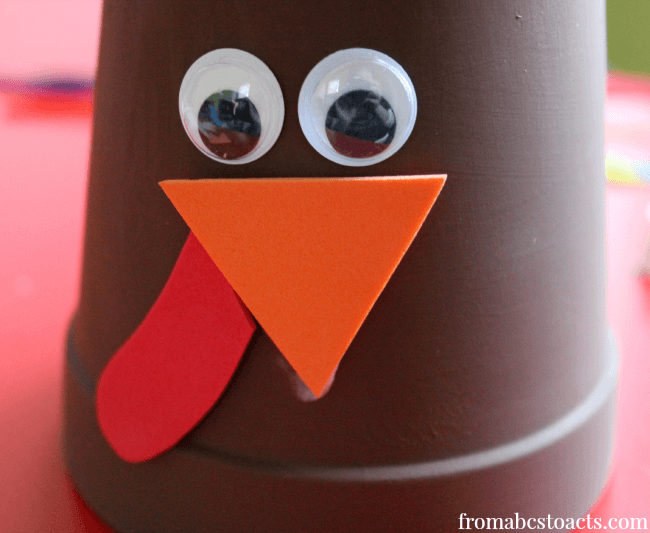 Give your turkey a fun little face with your googly eyes and craft foam. This is perfect for practicing those scissor skills if your child is old enough for scissors but if not, just go ahead and cut those out yourself ahead of time and have your child glue them on. 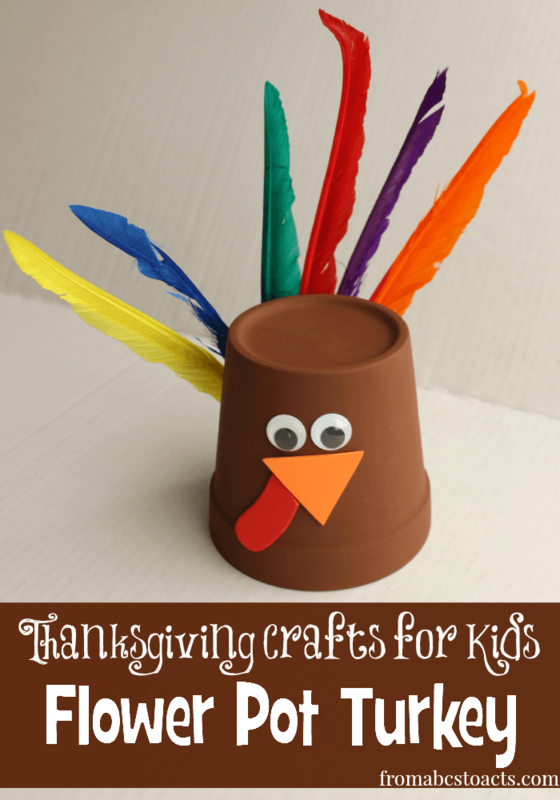 Now, on the opposite side of your flower pot, give your turkey a brightly colored tail with some fun feathers! This is a great time to work on colors if you’re adding lots of different ones or even patterns if you’re only working with a few. Now, sit back and enjoy your adorable little gobbler! Use him as a centerpiece on the Thanksgiving table or just as a decoration around the house. Either way, it doesn’t get much cuter! Like this fun Thanksgiving post? Here are a few more of our favorites!